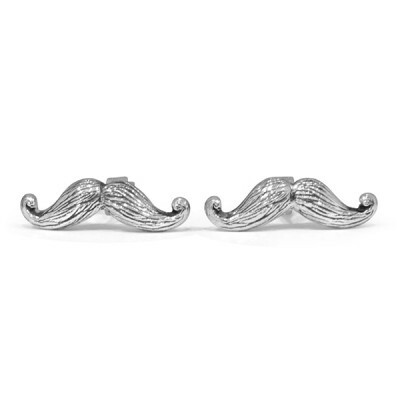 Whether you're participating in Movember or just have a fabulous moustache you want to wear on your sleeve, these cufflinks are an excellent cuff accessory! We made these cufflinks to support Movember. Movember Canada is the charity that tackles Men's health on a global scale, year round. Consider making a donation here - I know I'll be making one!